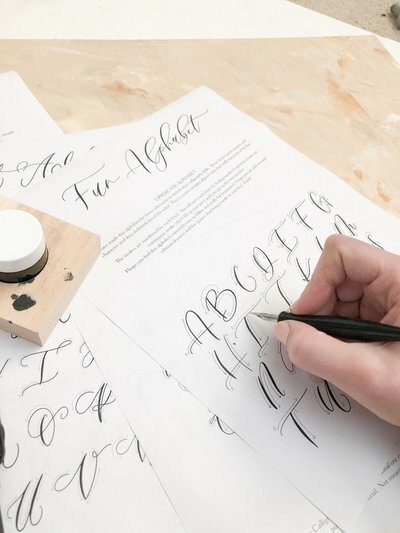 Are you ready to start practicing calligraphy? 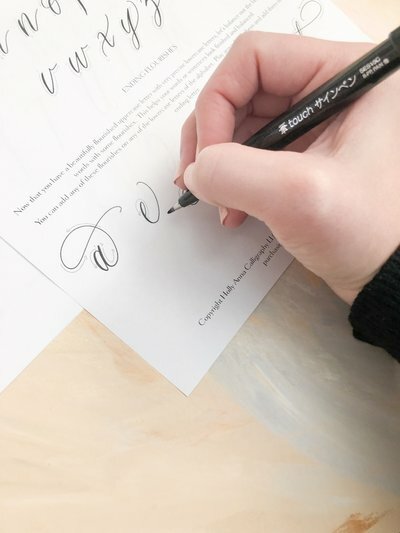 I've created this alphabet with you in mind so that you can practice writing those beautiful letters. 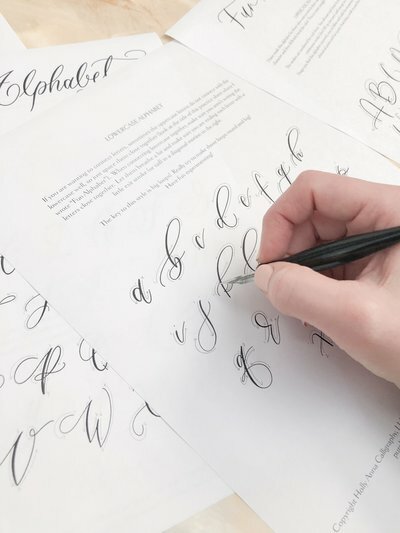 This practice sheet is perfect for building the muscle memory required to create beautiful effortless modern calligraphy. Alphabet: This is my signature calligraphy style alphabet. 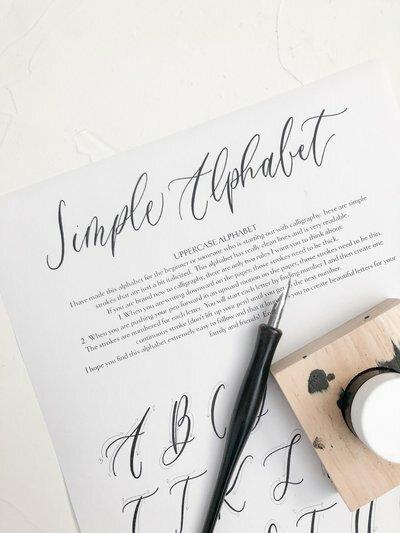 It is a basic modern calligraphy alphabet, perfect for creating prints, addressing envelopes, or making name place cards. This alphabet is perfect for the beginner! 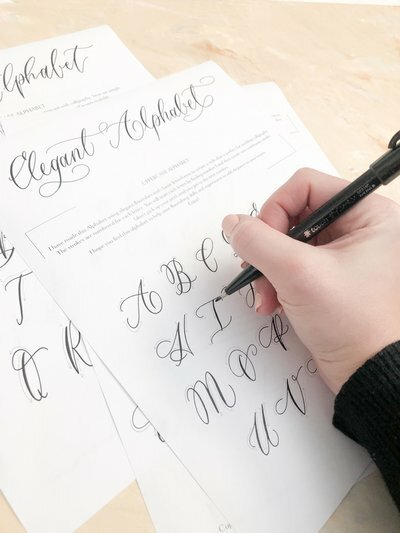 You can use any calligraphy tool you'd like with these practice sheets. 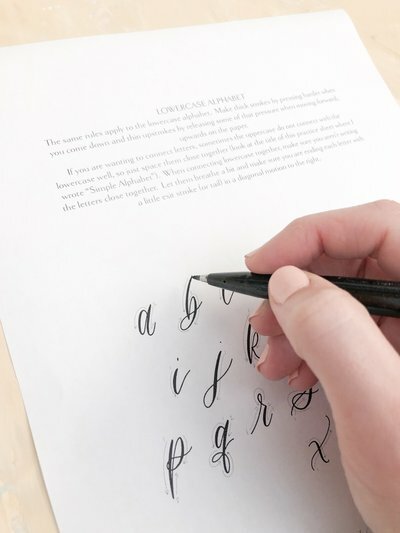 They are intended for you to place a tracing paper over the top of the alphabet and trace to practice. For personal use only. Not to be printed for use by others except the purchasing individual. Not meant for distribution or resale. 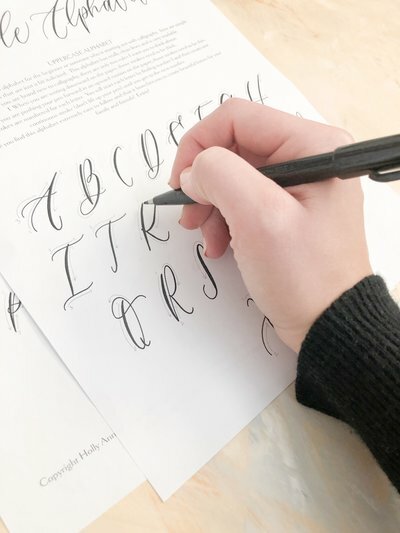 Have you been practicing your calligraphy but want to add flourishes + extra details to your letters? 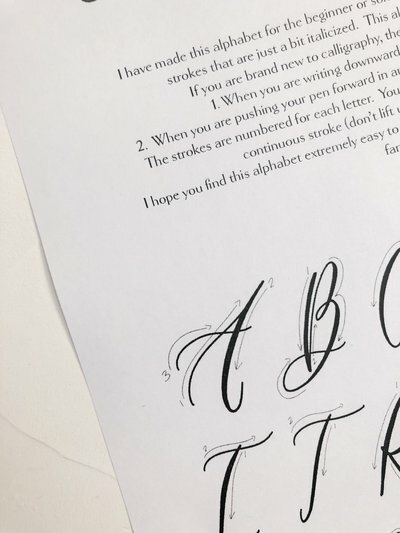 I've created this alphabet with you in mind so that you can create more elegant letterforms. This practice sheet is perfect for building the muscle memory required to remember where to place each flourish. 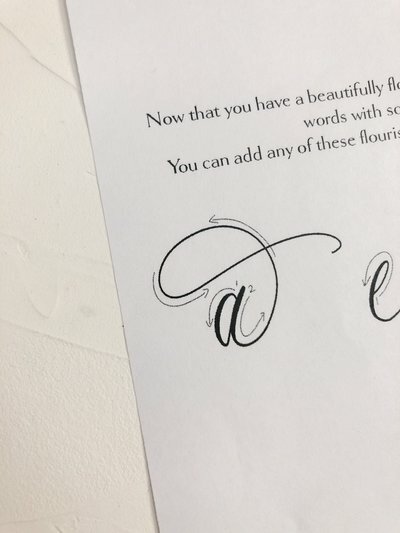 Alphabet: This is my elegant calligraphy style alphabet. 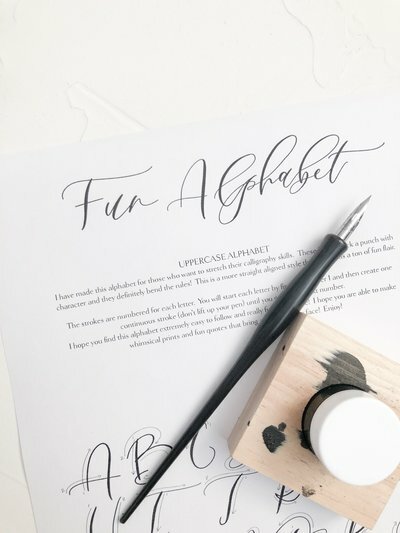 It is a flourished calligraphy alphabet, perfect for any wedding calligraphy you may be creating. 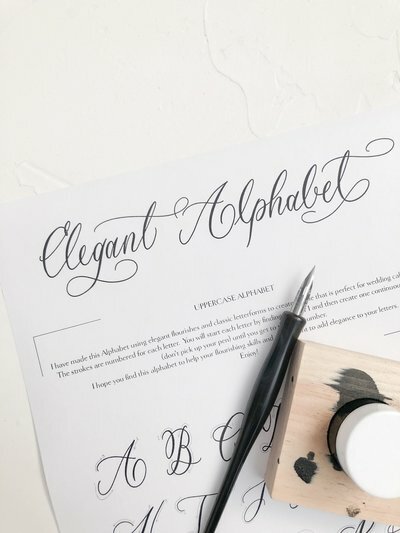 This alphabet is for the polished + fancy! 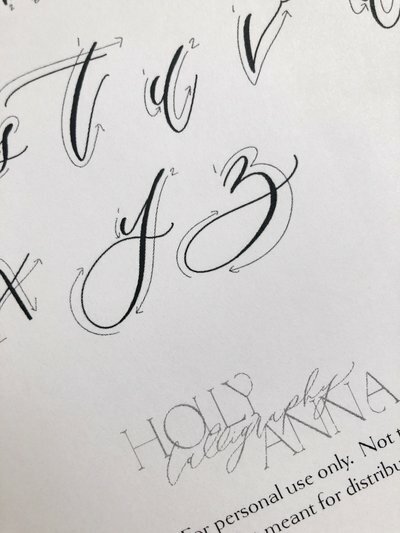 Are you wanting your lettering to have a ton of character to it? 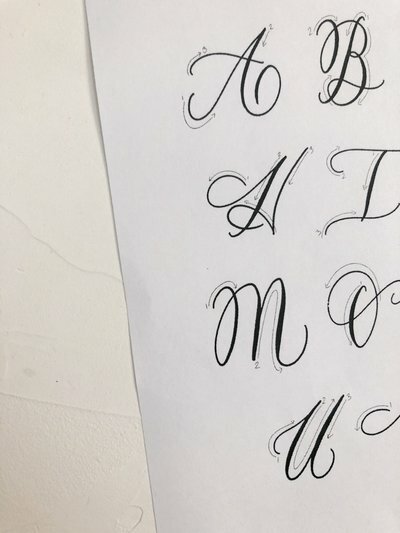 I've created this alphabet with you in mind so that you can create fun and unique letterforms. 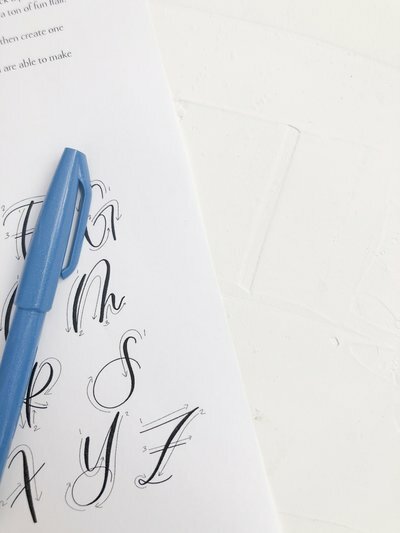 This practice sheet is perfect for stretching your letters to show a fun aesthetic. Alphabet: This is my modern calligraphy style alphabet. 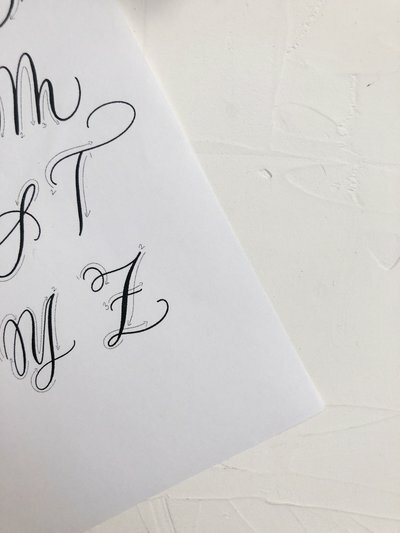 It is a fun and unique calligraphy alphabet, perfect for any prints you'd like to make for friends or for your own home. When you see this alphabet I'm sure you'll smile!